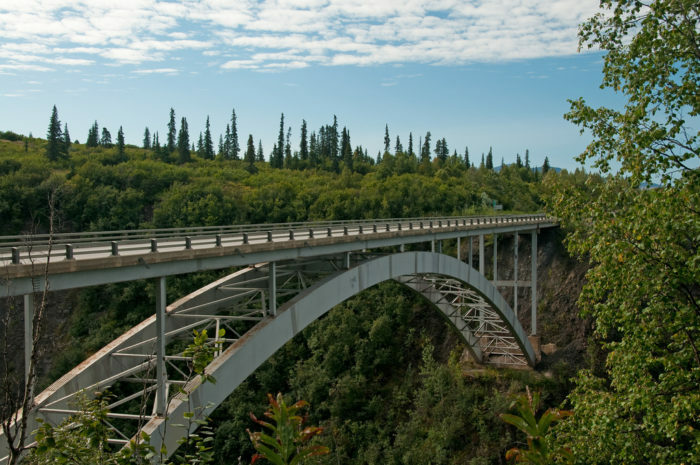 There are many spectaculars bridges in Alaska, as the land can be difficult to cross in many areas. One of the most impressive is without a doubt, the 558-foot bridge that spans Hurricane Gulch on the Parks Highway. 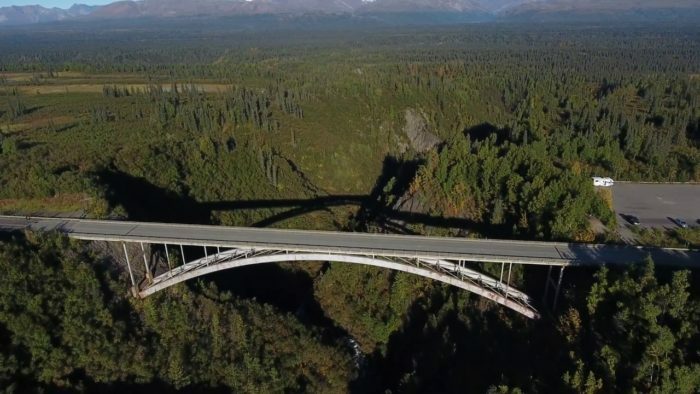 Beyond just a gorgeous bridge with an impressive view, this bridge is a staple of Alaska ingenuity! The Hurricane Gulch Bridge was built in 1971 for car traffic, as is not to be confused with the railway bridge of the same name. 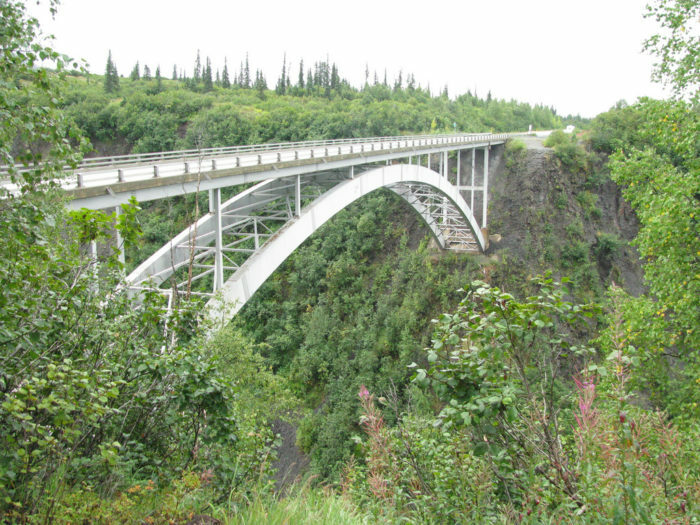 This bridge is located at mile 174.3 on the Parks Highway in Alaska. 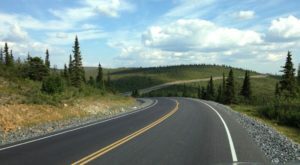 This highway traverses 358 miles through some of the roughest terrain in Alaska. 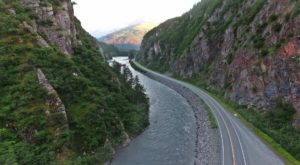 The Parks Highway is one of Alaska's best kept year-round roads! Hurricane Gulch Bridge is not the longest bridge on this highway. 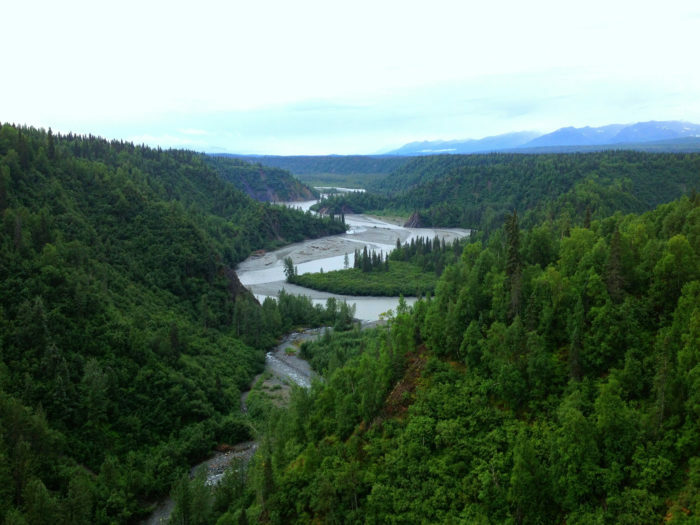 The longest bridge crosses the Susitna River, at mile 104, and is more than 1,050 feet long! However, this bridge is considered one of the most breathtaking! 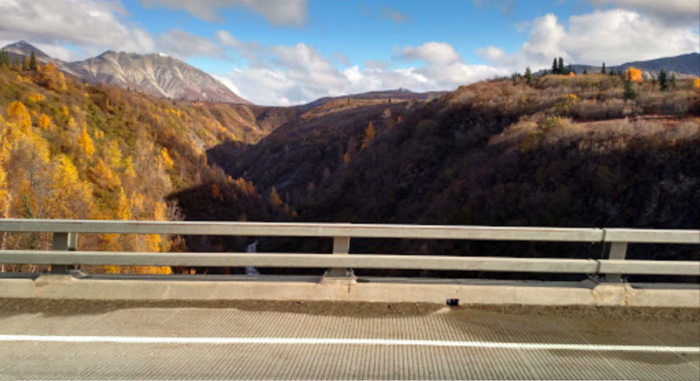 Sitting at a stunning 254 feet high over Hurricane Creek, Hurricane Gulch Bridge even has a parking lot before the bridge for drivers to pull over and take photos! You can see the white water from the bridge above. The Hurricane Gulch Bridge is a steel arch bridge. 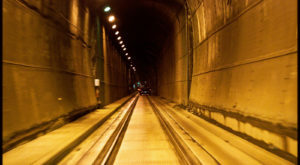 The length of the arch is more than 400 feet long. The bridge sees average daily traffic of 1,439 vehicles. This is impressive, as winter doesn't have too much traffic, so you know the summer traffic is a large amount. 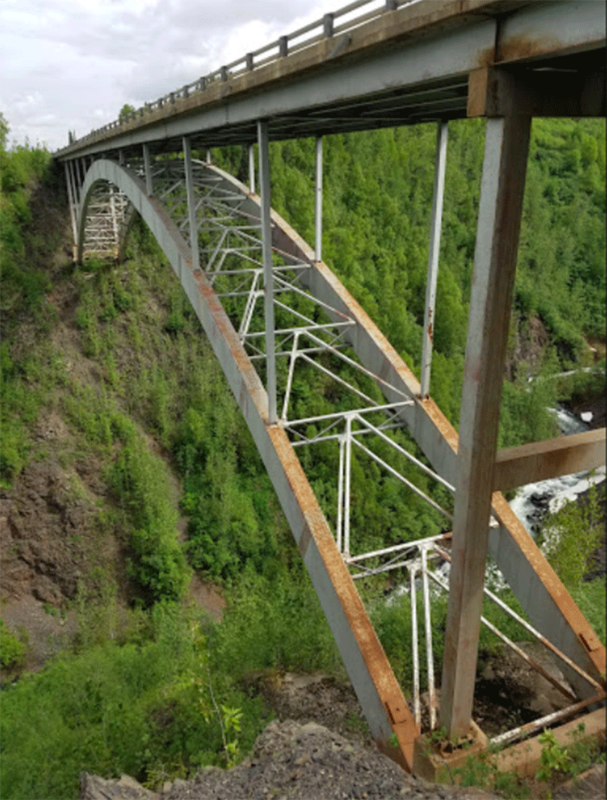 This bridge is considered to be the connection between southcentral and interior Alaska. 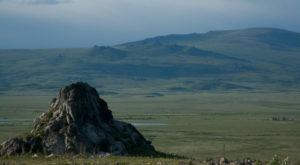 If you're enchanted with the area, there are even some excellent camping spots nearby. 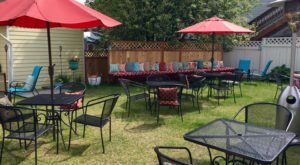 This is a slower area that doesn't experience the high levels of tourists like nearby Denali National Park. The Hurricane Gulch Bridge for road traffic is not to be confused with the bridge of the same name built for the railroad. That bridge has been around for almost a hundred years! It also crosses Hurricane Gulch, but that bridge is more than 900 feet long, and 296 feet above Hurricane Creek. 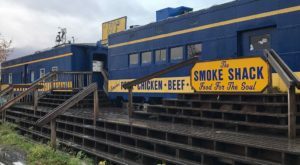 That bridge is the longest and tallest on the entire Alaska Railroad. For almost 8 years, it was the largest bridge in the entire United States of America. Have you driven over this bridge? Have you taken the other Hurricane Gulch Bridge on the train? What did you think? Let us know in the comments below! Heading into Denali? 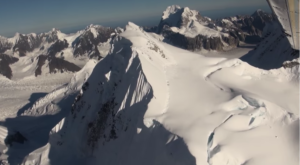 Make sure to check out This Flight Over Denali That Is Unbelievably Beautiful!